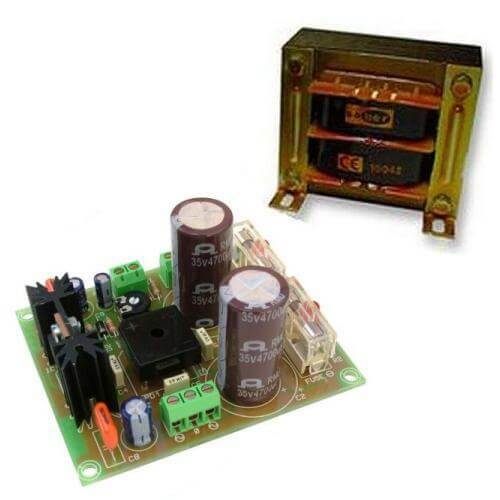 Dual polarity ±24Vdc, 2 Amp stabilised power supply module complete with a 230Vac mains chassis transformer. A secondary output provides an adjustable 18Vdc, 150mA. Continuous output current 2 Amp max.